We would love to have you come join us on a long-term basis. Check out the opportunities below or just contact us to start the conversation. 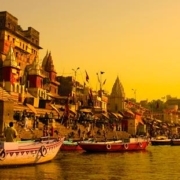 Varanasi is one of the worlds oldest cities. It is also considered to be one of Hinduisms most holy cities. It is home to more than two million inhabitants. Gujarat is a state on the west coast of India. It is has a strong traditional Hindu culture and is also home to many tribal and nomadic groups. The Himalayas are a breathtaking and wondrous place. But in these remote areas most Hindus have no access to the Gospel.